The aim of the work is to develop a Model for Enquiry of Sustainable Homes through exploration of built, in-use, sustainable homes; three Model Home 2020 houses (LichtAktiv Haus, Sunlighthouse and Maison Air et Lumiére) and families living in them. Aiming at complying with the complexity of the world of sustainable architecture, the model employs methods of enquiry through four different perspectives; namely in-situ research, blog research, questionnaire survey and technical measurements. Thereby several aspects of the built environment come together in creating a more complete understanding of what sustainability actually entails. i. A model for enquiry of sustainable homes that include occupant perspectives, perceptual quality and technical ability. 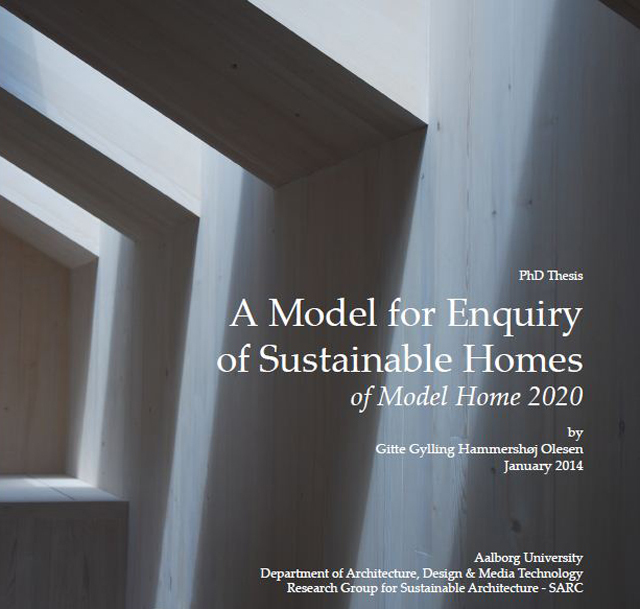 The developed and tested Model for Enquiry of Sustainable Homes offers a more complete illustration of the sustainability of a house than either of the tested methods are able to do on its own. ii. Occupant perspectives of perceived everyday encounters with automated homes through a combination of questionnaire and blog enquiry. iii. Knowledge from in-situ research, blogs and questionnaire can provide valuable arguments for sustainability on a level somewhat comparable to technical measurements. iv. Enclosure of perceived quality in enquiry of sustainable architecture and a more tangible approach to collect, treat and explore aspects of perceptual nature. v. Focus on aspects of variability in enquiry of sustainable architecture. Research in sustainable buildings should focus more on perceptual, social and everyday perspectives – here lie answers to how future sustainable environments can be solved to give more than they take. The Model for Enquiry is specified through testing the theme of Perceived Indoor Environment. 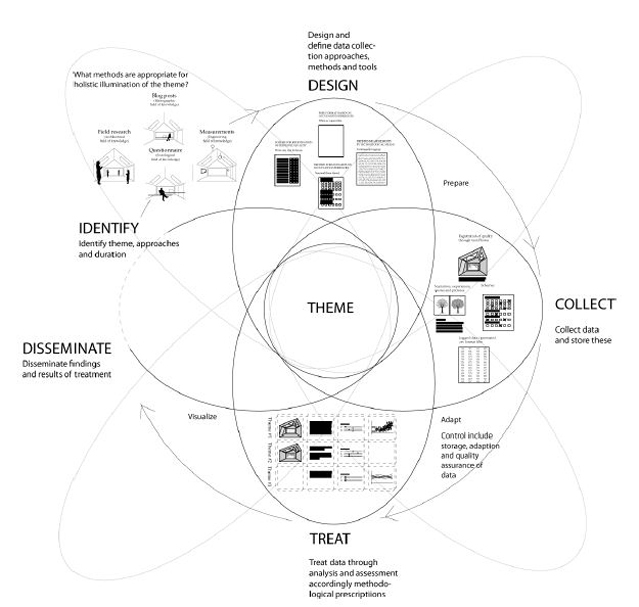 The diagram illustrate the four methods In-situ research, Blog research, Questionnaire and Technical measurements and their processing though I) Identification, II) Design, III) Collection, IV) Treatment, and V) Dissemination.